Bouncy castle hire, rodeo bull hire, sumo wrestling suits and inflatable slide hire for all occassions. 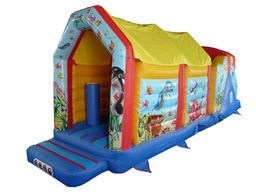 Bouncy castle and slide hire for all occasions at very competitive rates. Overnight hire available. Call direct to book.